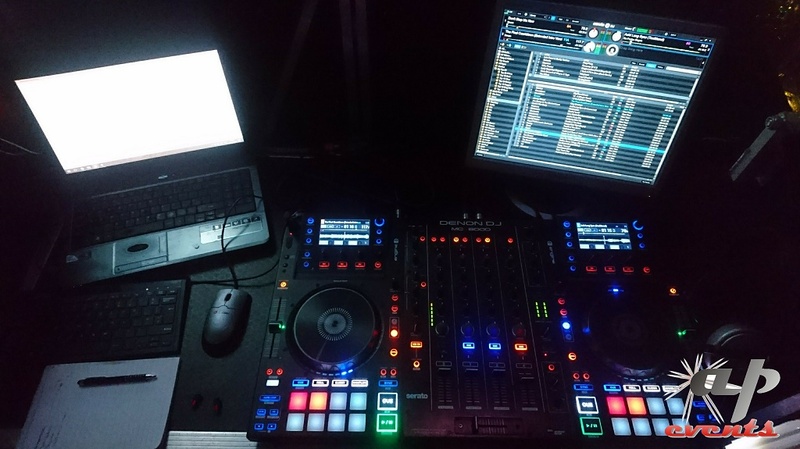 Many people are fascinated by the equipment used by DJs. Admittedly there’s a geek-ness amongst DJs when it comes to equipment but even the average Joe is (somewhat) interested. There’s a variety of equipment used and even more opinions about each type/manufacture as you’d expect. I like the equipment that I use but I’m not writing a sales pitch here! So what are all those buttons and gizmos? A mixing desk certainly looks confusing, but just like driving a car; once you get used to them they’re easy to use. In essence, the mixing desk allows me to control the audio; adjusting the volume and controlling the tone (high/mid/bass) of each device. Plugging my headphones in also allows me to listen to audio without it playing through the speakers, handy when I want to check how a track starts. The music controller is very easy to operate to control my music. It can be as simple as just hitting play or you can be more adventurous with some of the advanced settings such as creating a loop. The amplifier (or more commonly referred to as an amp) is what does the hard work, this powers the speakers. Generally once plugged in and turned on I don’t touch this until switching off at the end of the night. The computer is what does ‘all the magic’ in my setup; it runs the music and lighting software for me. By using DJ software I’m able to create two audio outputs (same as having two CD players), which allows me to mix tracks and preview one while the other is playing. The lighting software sends a signal to my lights and tells them what to do. By connecting my tablet to the computer I’m able to remotely control the lights. So in a nutshell, that is what goes on behind the decks.